Little Green Radicals was first established in 2005, they make organic, Fairtrade, beautiful clothes. All of their clothes are designed in London and are certified by GOTS as well as the Fairtrade foundation. 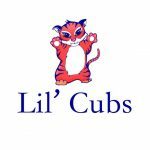 Lil’ Cubs launched their range of bibs and muslins in 2015. Their brand quickly grew and they began selling a range of children’s clothing including the zip up sleepsuits, designed to make life with a little one so much easier! Their designs are all gender neutral and are hand block printed using eco friendly dyes. Boodle was launched in 2010, based in Bristol. All Boodle products are ethically sourced and made from 100% Organic cotton in accordance with the Global Organic Textile Standard (GOTS), produced from Indian Cotton, and certified by the Control Union and Soil Association Certification. They are also produced under the Fair Wear label ethical trade and justice for workers. They are hand screen printed in Bristol, using eco-friendly water based inks. JNY is a Swedish brand founded in 2005. They make gorgeous children’s clothes which are made to last using GOTS certified organic cotton. All of their clothing is made within Europe and they work hard to keep their carbon footprint as small as possible. We will be stocking the JNY Autumn/Winter range later in the year. Clara and Macy make beautiful cards which are the perfect accompaniment to any gifts you might be buying from us. Cards are printed on 300gsm FSC certified matte card. Packaged with a 100% recycled envelope in a biodegradable corn starch bag. Lenny Lamb make the most beautiful baby and toddler carriers, wraps, baby wearing clothes, children’s doll carriers, bags, babywearing accessories and lots of other general loveliness. I can’t begin to explain how much I love their products. I am so excited to be one of the few UK stockists of Lenny Lamb. I’d love to be able to stock everything but unfortunately at this point I can’t! I place regular orders though so if there’s anything in particular that you’d like just let me know and I’ll add it to my next order. Lenny Lamb is based in Poland and is a family company, it was started by two sisters who love to babywear and who adore beautiful fabrics. All of their products are manufactured in their factory in Poland. Loud + Proud was founded in 2008 by a mother of two who wanted to make really sustainable children’s clothing. The clothes are made from organic cotton which originates from Turkey and the clothes are all made in Europe. Loud + Proud clothing is GOTS certified. These clothes are truly stunning, they’re also soft and kind to skin. Naperonuttu is one of my all time favourite brands and I’m looking forward to receiving their Autumn/Winter range later in the year. They are a family run company making colourful and comfortable children’s clothing. Their clothes are high quality and are manufactured ecologically and ethically. Their jersey clothing uses organic cotton and all of their products are manufactured in Europe. Lanka Kade make bright and beautiful toys, they are made in Sri Lanka by small independent businesses. They have a strict fairtrade policy and work to improve the communities that they work within.